You don’t need to have a Parrot drone with you to build your hack, just make use of the SDK. FYI, Jumping Sumo stream format is MJPEG, Bebop H264. 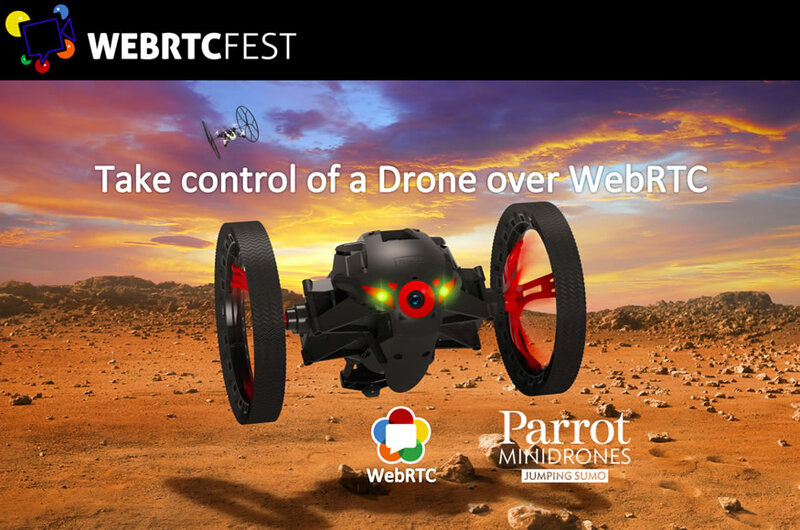 Feel free to contact Parrot on the forum or Philippe on Twitter, with the hashtag #WebRTCfestParrotChallenge. If you don’t have a Jumping Sumo with you, contact Philippe for getting a test timeslot at the Parrot office in Paris.